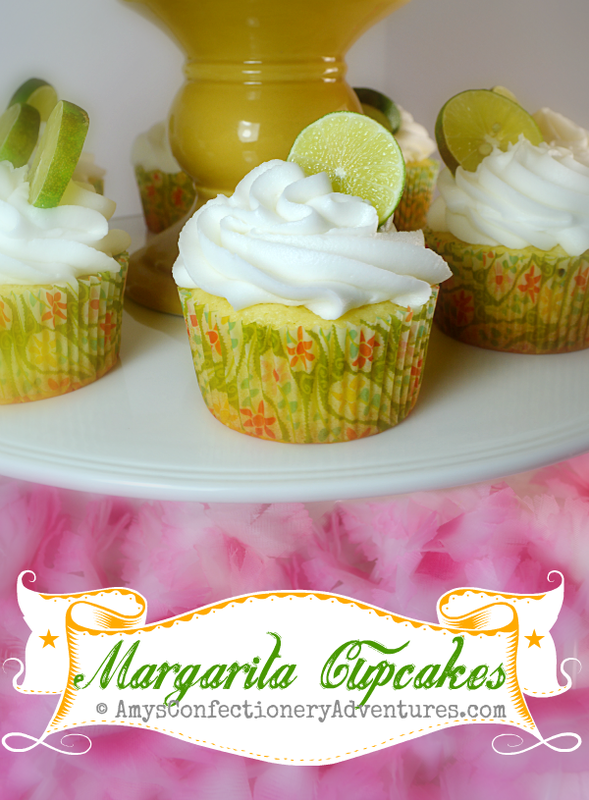 Amy's Confectionery Adventures: Margarita Cupcakes...Don't Skimp on the Tequila! 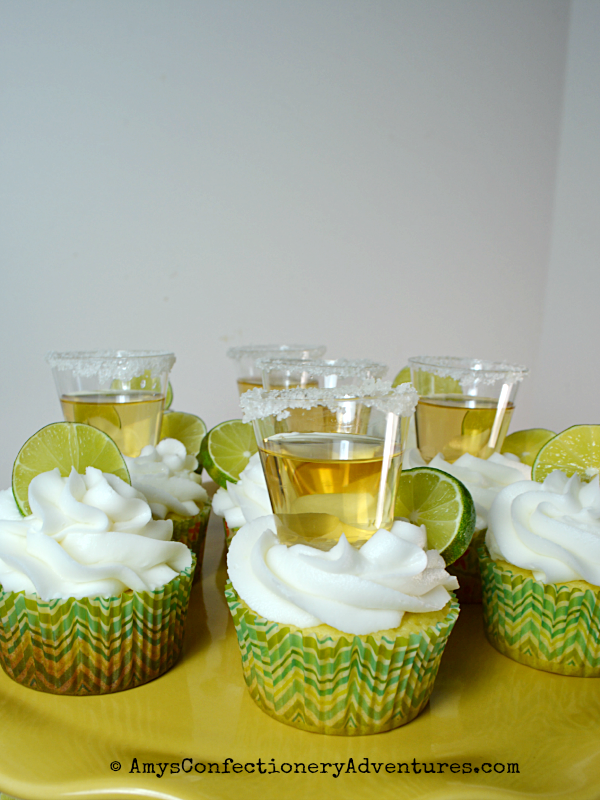 Margarita Cupcakes...Don't Skimp on the Tequila! I super love boozy cakes…wait…is that bad? Meh – don’t care, I love them!!! I make these for Hubs and my combination 31st birthday/murder mystery party and they were a total hit! The cake was moist and delicious, the flavors perfectly balanced. Plus, if you’re really in for a party, you can add a tequila shot to the top! 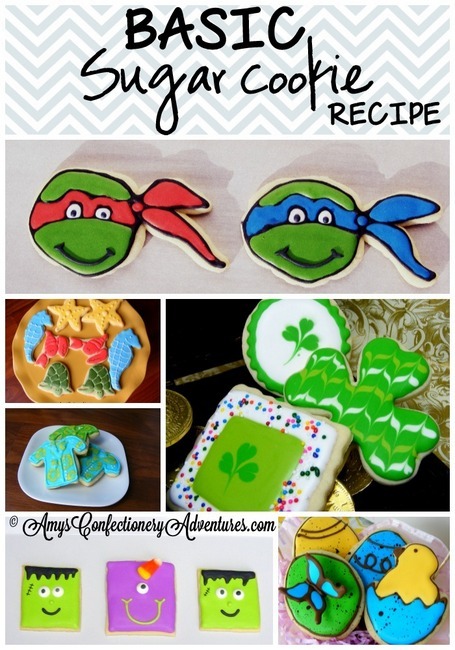 So these are also perfect for Cinco de Mayo! Place all of the cake ingredients into the bowl of a stand mixer. Mix on medium speed until smooth and combined. Divide the batter evenly between the muffin cups. Bake for 18-20 minutes or until a toothpick inserted into the center of the cupcakes comes out clean. Cool completely before icing. To make the frosting, place all ingredients into the bowl of a stand mixer and beat until smooth and combined. 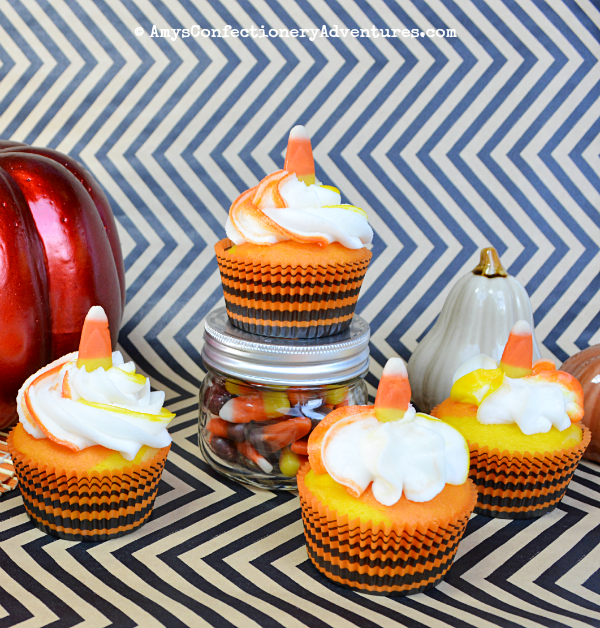 Use a large (1M) piping tip to pipe the frosting onto the cupcakes. Garnish with a slice of lime (or a tequila shot if you’re feeling adventurous).